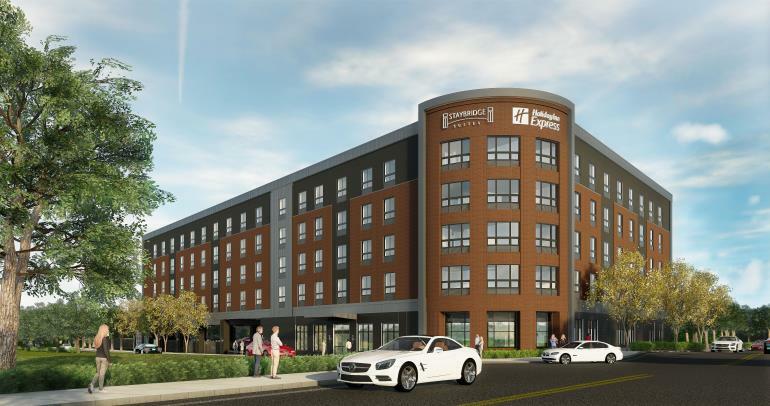 Denham, United Kingdom, 2018-Dec-06 — /Travel PR News/ — IHG® (InterContinental Hotels Group), one of the world’s leading hotel companies, today (03 DECEMBER 2018) announces the development of the new-build, dual-branded Staybridge Suites® and Holiday Inn Express® Quincy hotel in Quincy, Massachusetts, a suburb of Boston. The 90-room Staybridge Suites and 90-room Holiday Inn Express will be owned by XSS Hotels(“XSS”) and Cathartes Investments. Colwen Hotels, the management company affiliate of XSS, will manage the new 180-room hotel. This property marks the second development between IHG and XSS. The first, the Holiday Inn Boston Logan Airport – Chelsea, successfully opened in August. This entry was posted in Business, Hotels, Luxury, Resorts, Travel, Travel Services, Travelers and tagged Boston, Holiday Inn Express, hotel, IHG, Joel Eisemann, Leo Xarras, Massachusetts, Quincy, Quincy hotel, Staybridge Suites. Bookmark the permalink.